“La Boheme” (September 8, 11, 13,and 23): The season begins September 8-26 at the Dorothy Chandler Pavilion with three works presented in conjunction with the first Los Angeles Festival. First is Giacomo Puccini’s beloved “La Boheme” conducted by Lawrence Foster, with Placido Domingo, Karen Huffstodt, and Thomas Hampson. Christopher Alden directs Jean-Pierre Ponnelle’s production. “The Fiery Angel” (September 16, 19, 22, and 25): Although Sergei Prokofiev’s masterpiece “The Fiery Angel” is little-known (and was never produced during his lifetime), opera-goers will recognize themes in its grandly symphonic score from the composer’s 3rd Symphony. A dramatic table of black magic, consuming passion, and diabolical possession, LAMCO’s staging is directed by Andrei Serban, designed by Robert Israel, and co-produced with the English National Opera and Geneva Opera, with support from the Los Angeles Festival. Lawrence Foster conducts, with Marilyn Zschau as Renata and Roger Roloff as Ruprecht heading the cast. “La Cenerentola” (September 18, 20, 24, and 26): This new production of “La Cenerentola,” Giachino Rossini’s enchanting retelling of the Cinderella story, stars Frederica von Stade as Angelina, with Dalmacio Gonzalez as Ramiro, Alan Titus as Dandini, and Francois Loup as Magnifico. Sir Neville Marriner conducts this zesty “opera buffa” staged by Frank Corsaro and designed by Franco Colavecchia. “Tristan und Isolde” (December 6, 9, 12, 15, 18, and 20: The season continues at the Dorothy Chandler Pavilion with Richard Wagner’s “Tristan und Isolde.” Produced in association with the Los Angeles Philharmonic, the new LAMCO production of this landmark opera will be conducted by Zubin Mehta, directed by Jonathan Miller, and designed by David Hockney. The cast includes William Johns and Jeannine Altmeyer in the title roles, with Florence Quivar (Brangane), Roger Roloff (Kurwenal), Martti Talvela (Mark), Elliot Palay (Melot), and Jonathan Mack (Sailor/Shepherd). “Macbeth” (December 11, 14, 17, and 21): Placido Domingo will make his LAMCO conducting debut in Giussepe Verdi’s “Macbeth.” Directed by Elijah Moshinsky, designed by Wolfram Skalicki, and co-produced with the Canadian Opera, “Macbeth” will feature Justino Diaz in the title role, Martti Talvela as Banquo, and Mara Zampieri, making her American stage debut, as Lady Macbeth. “A Midsummer Night’s Dream” (Feburary 16, 17, 19, and 21): LAMCO moves into the Wiltern Theatre in February and March for Benjamin Britten’s “A Midsummer Night’s Dream” and Gilbert and Sullivan’s “The Mikado,” offered as part of the UK/LA: A Celebration of British Arts. Britten’s joyous opera, infrequently staged in the U.S., will be directed in this new production by Gordon Davidson, Artistic Director of the Mark Taper Forum, and designed by Douglas W. Schmidt and Lewis Brown. Company Associate Director Robert Duerr will lead the cast which includes Jeffrey Gall (Oberon), Virginia Sublett (Titania), Peter Van Derrick (Theseus), Stephanie Vlahos (Hippolyta), Jonathan Mack (Lysander), Rodney Gilfrey (Demetrius), Alice Baker (Hermia), Angelique Burzynski (Helena), and Michael Gallup (Bottom). With the exception of “The Fiery Angel,” which will be performed in English, all foreign language operas will be performed in the original languages with projected supertitles in English. 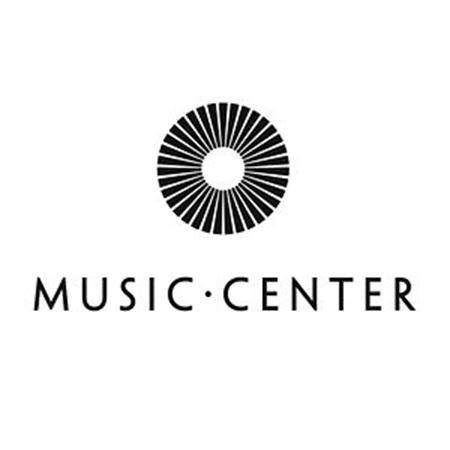 For ticket information on the Los Angeles Music Center Opera call (213) 972-7211.